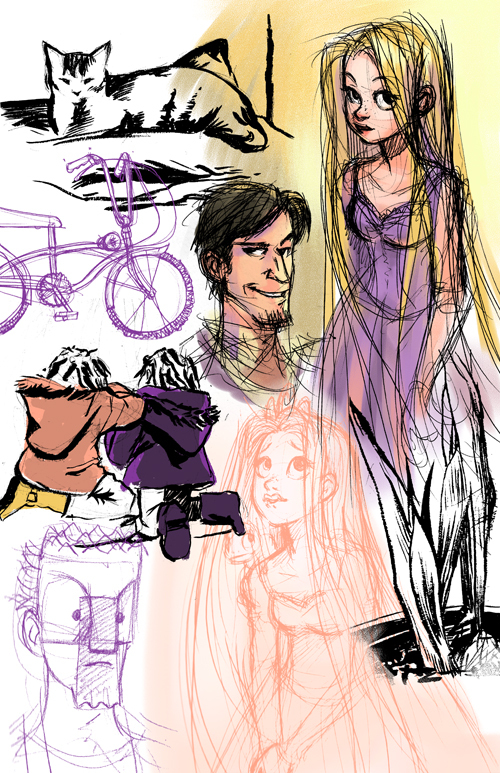 This batch has some Tangled (Rapunzel) stuff–it's not quite right, but I plead lack of reference–a bunch of brush pen life drawing and Valentine from Mirrormask, which is still probably my favorite Neil Gaiman thing: book, audiobook and movie. Oh, and a bike thrown in there. Been drawing lots of bikes lately.